Banes origin is revealed here! 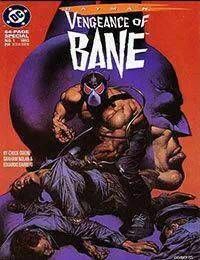 In his first appearance, Chuck Dixon reveals the violent past of the man who will become Bane. From his violent upbringing in a South American prison, everything that makes him one of Batmans deadliest foes is revealed.